Reportedly, some resorts at Las Vegas have decided to lower down their fees in order to increase visitation rates! 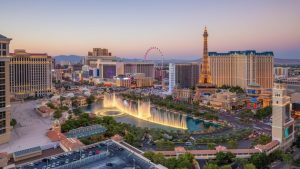 Las Vegas resort fees are pesky, but travelers will be happy to know that some Vegas resorts are lowering their fees or offering no-resort-fee promotions to entice more guests and increase visitation rates. Resort fees are daily additional charges for guest services like Wi-Fi and pool and gym access, fees that are generally included in room rates by hotels that are not considered “resorts.” In 2018, Las Vegas visitation rates reached a four-year low at only 42.1 million visitors and some resorts think with lower resort fees, it may help visitation rates to increase. The Wynn Las Vegas stopped charging parking fees for overnight guests and day guests who spend at least $50 on the property, which is similar to how the Cosmopolitan of Las Vegas canceled parking fees for overnight guests. 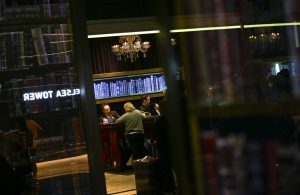 In the last few months, SLS Vegas, Golden Nugget and Red Rock Resort have offered promotions for rooms without resort fees. Red Rock spokeswoman Lori Nelson says this was to distinguish the property from other spring break deals. “We are always trying new offerings to see what resonates with clients and this is just another tool in our arsenal,” said SLS spokesman Christopher Abraham. However, not all resorts are jumping on the bandwagon. 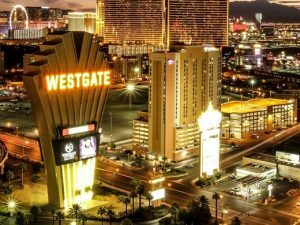 MGM Resorts International and Caesars Entertainment Corps raised their resort and parking fees over a year ago. Caesars Entertainment offered free parking at The Linq Hotel in August but didn’t see any impact on visitation rates. The Las Vegas Convention and Visitors Authority doesn’t believe there is any connection between fees and visitation rates. “We believe it is premature to state that resort or parking fees are directly resulting in a net decrease in overall visitation,” LVCVA spokeswoman Jackie Dennis said in a statement to the Las Vegas Review-Journal. 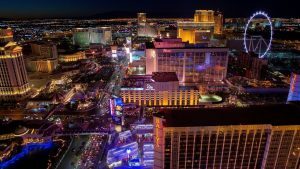 Some attribute the low visitation rates of 2018 to less events, changes in conventions and possibly the 2017 Las Vegas shooting. As for travelers, Ohio resident Nino Bandera who has visited Vegas nearly 100 times in 50 years is skipping a trip to Sin City this year because of soaring resort fees and higher food prices. Originally posted by Taylor & Co. Travel, view original article HERE!